If you are new to DMR (Digital Mobile Radio) there are a ton of Web sites that provide helpful and/or interesting information. This list is in no particular order and I do plan to update it as I find other sites of interest. The folks who run the Brandmeister Network have developed many cool Web pages but one of particular interest to newbies is Hoseline. You can actually listen in on QSO’s in progress. By clicking the Talk Groups drop down, you can change the TG you are listening to. You may use the Scan feature to listen in on several TG’s. KG5RKI has developed DMR Netwatch Map which includes information from related sites. It’s a work in progress but well worth the visit. N0GSG has developed free software called Contact Manager where you can maintain code plugs from various vendors all in a single app. Code plug conversions between radios are also possible. As of this post Contact Manager works with the CS700/750/800 Tytera MD380/390/390GPS, Retevis RT3, and AnyTone AT-D858 Radios. W2XAB published a rather comprehensive PDF in 2015 called the Amateur’s Guide to Digital Mobile Radio. It’s worth the read for anyone interested in learning more about DMR. K2YO and the Long Island Mobile Amateur Radio Club presented an Introduction to DMR which does an excellent job of covering DMR for the newbie. KC5HWB is the creator of HamRadio 2.0. As of this post, Jason has published around 90 videos. Many of his videos cover reviews of various DMR radios, code plug programming and HotSpot reviews. If you want to purchase ham radio equipment, check out Jason’s ham radio store at Grapevine Amateur Radio. The PRN System offers a Wide Area Digital Amateur Radio Network which spans areas of North and South Carolina as well as areas of Virginia. Their Web Site offers a Getting Started Page, Repeater and Talk Group Information, Code Plug downloads and more! KC7JOE’s blog has detailed information Fusion, DMR, DSTAR and HF NETS. Check out his Amateur Ham Radio Net List. N2NSA has detailed information related to repeaters which connect to the New York Metro DMR Repeater Network. Use my Contact Form if you have or know of a DMR site that would be of interest to others. How To Take Your SharkRF OpenSpot Portable! I recently grabbed a SharkRF OpenSpot from Grapevine Amateur Radio. As of this post, Jason KC5HWB sells the units shipped for $215. What’s better than buying Ham Gear from a Ham! Jason does a video series on “What’s New In Ham Radio”. Be sure to check out his HamRadio 2.0 site for the latest and greatest goodies! Since I already have a DVMega / Bluespot for the Ham Shack my plan was to set up the OpenSpot for portable operation. Installed my Gatcepot 24000mAh 5.5A Universal 3-Port Ultra-High Capacity Power Bank , TPLink Nano Router and the SharkRF OpenSpot into the Pelican 1150 case and now go 100% portable by tethering the router to my iPhone 7. With inspiration from Rob AK7RM’s how to (thanks Rob), I threw my How To version together with some extra info to help with the setup process. I also wanted to specifically cover the problem that hung me up for a bit. Check the note about the SSID value. This how to is written specifically for use with the the TPLink Nano Router and an iPhone7 in Hotspot mode. However you can probably adapt it to any similar setup. Get your copy of my OpenSpot Portable Ops document. DMR – Growing In Leaps and Bounds! Note: Had a quick chat with Bob W2CYK the developer of RFINDER last night at the Peconic Radio Club monthly meeting and he mentioned that he’s got some new stuff peculating in his secret RFINDER lab. I think we will all be pleasantly surprised and amazed at his next venture! Bob is an amazing guy with an array of software and hardware that brings the World of Repeater Directory Information directly to your fingertips. RFINDER is partnered with companies like RT Systems and other organizations around the globe. Getting back to DMR or Digital Mobile Radio, during the short time that I have been involved with DMR, I wrote some code which I run on a Linux server where I track and reference the DMR database information. When I began experimenting with DMR, the number of registered DMR Id’s maintained by the Motorola Amateur Radio Club was around 14k. At last count my database has around 55k entries in it! Wow what an explosion! In just over a year, the number of worldwide id’s has skyrocketed. As an Extra with HF privileges, I never thought much about DMR as a means of reaching beyond local repeaters. 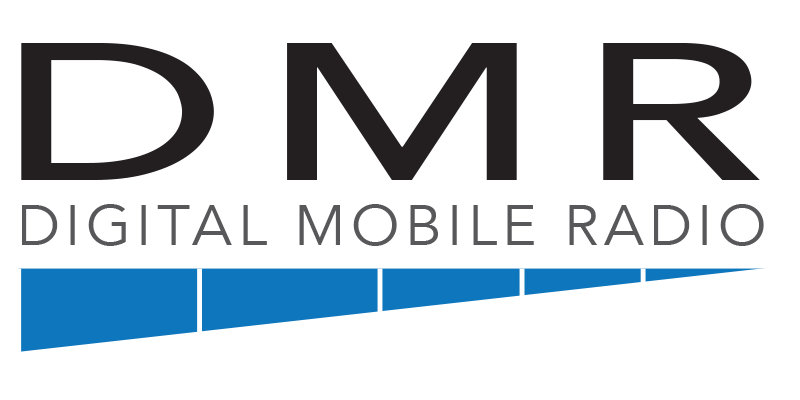 But as one Tech Ham friend of mine said, DMR provides a convenient way for him to communicate across the country and to places around the world for those with only 28 and 50 MHz at their disposal. DMR has provided a way to step out under the dismal HF band conditions of recent years. If a digital repeater is unavailable, a Hotspot can provide a method of communicating with Ham’s around the world with DMR+ and BrandMaster networks right from the armchair in your home. Depending on the radio(s) you have, it is also possible to reach out to other Hams using DSTAR, Fusion and P25 with one of these multi-mode Hotspots. The Shark RF Openspot is one of the most popular Hotspot devices around today.